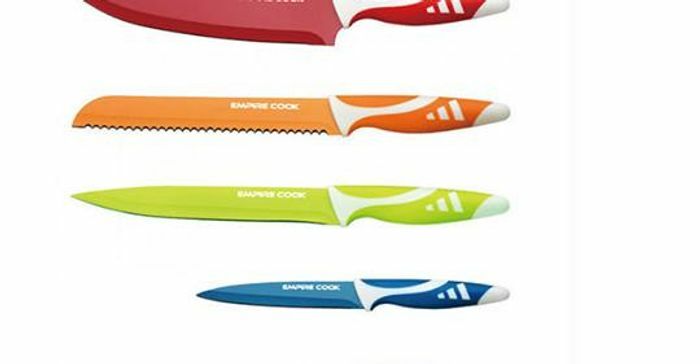 Get a six or eight-piece colourful kitchen knife set. A must-have for any discerning foodie. This set includes an 8" chef knife, 8" bread knife and 6" carving knife. As well as a 5" utility knife, 3.5" paring knife and a peeler. Easy-to-clean non-stick coating with soft-grip handles.